WIPRO, a corporate group, has been engaging in many water sustainable practices over a period now. 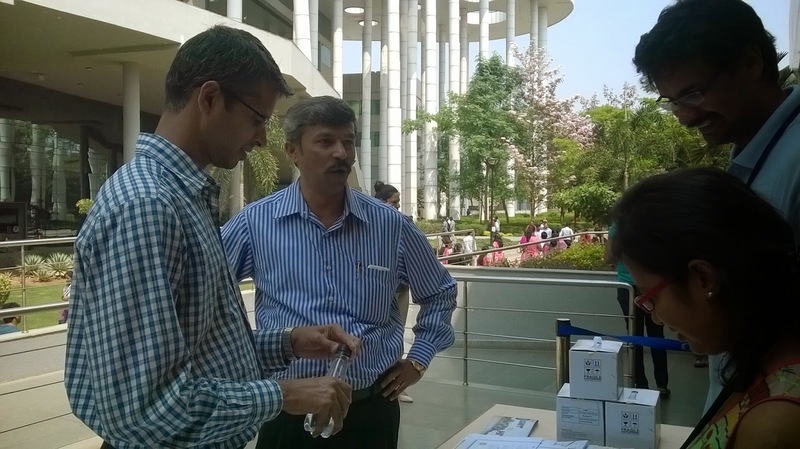 The team at WIPRO also supports the aquifer mapping and lakes bio-remediation projects in Bengaluru. 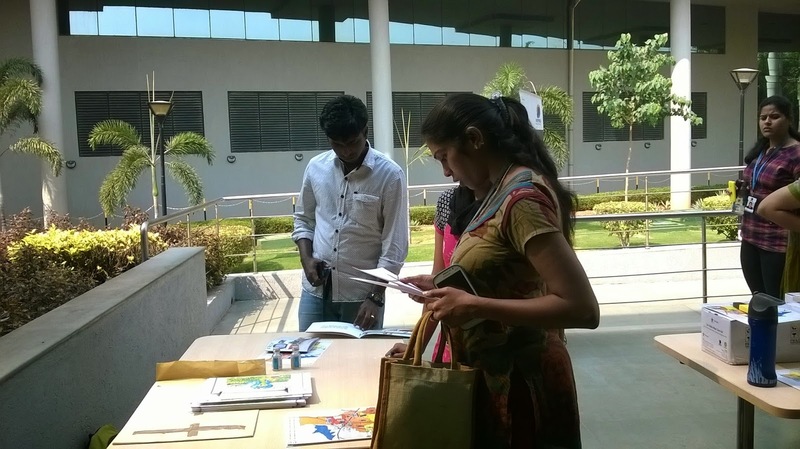 Wipro employees staying in the area falling under Sarjapur-Bellandur watershed have been helpful in providing information about their borewells also. 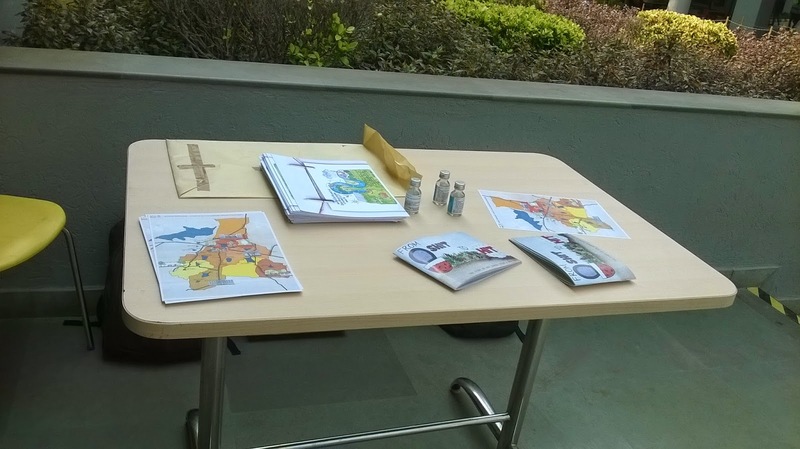 As part of the world water day, a small event was arranged in WIPRO Sarjapur campus wherein the activities comprised of conducting water quality tests on the samples brought by the employees and share the information about aquifer mapping project, lakes bioremediation activities. The water quality tests conducted included pH, TDS, Electrical conductivity (E.C), Salinity, Fluoride and bacterial. The vials for the bacterial testing were given away to the people as the time taken for the results to show up is 24hrs-48 hrs. The sharing of information about the projects was done through elaborating on the watershed map, a small story book on sewage mining. 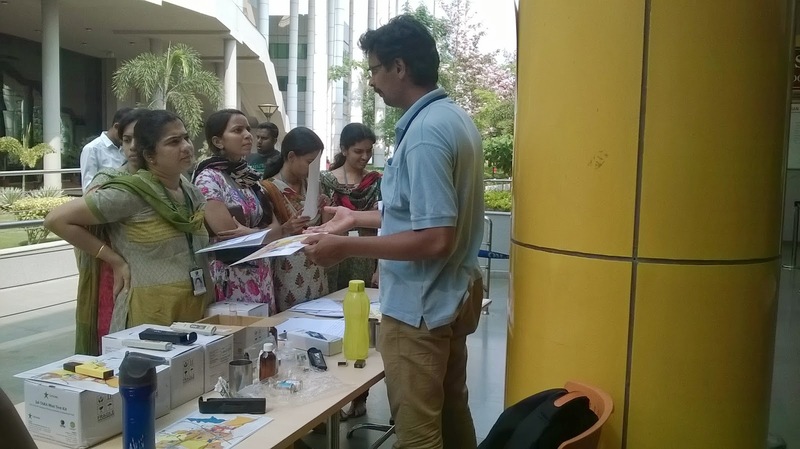 The feedback of the employees was overwhelming with people remembering to get their own water samples to office and taking the bacterial vials at home for testing on their own.